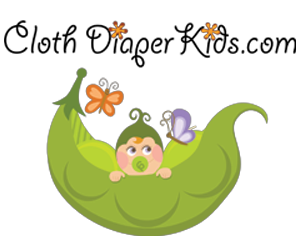 Welcome to the Glow Bug Cloth Diaper Giveaway! The amazing cloth diaper with Revolutionary 360° Gusset™ design - 360 degrees of protection! Glow Bug Diapers were started by a pair of moms whose friendship started in a pre-natal yoga class. 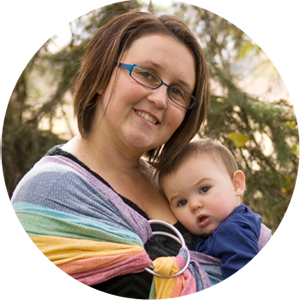 Growing close over the course of their pregnancy, they both discovered and adored using cloth diapers on their daughters but struggled with finding something they were comfortable using while being affordable - and so Glow Bug Diapers were born! Glow Bugs are a one-size diaper, meaning they will last from newborn to potty training. From 7-35lbs, you'd never have to buy another diaper again! The double rows of snaps allow you to cross-over the snaps to fit even the tiniest of waists. Wing snaps are also perfectly placed to prevent drooping around the leg holes. There are 4 rise snaps in the front of the diaper to allow for 4 size settings. Click HERE to read Crunchy Livin' Mama Style's full review of Glow Bug Cloth Diapers! To Buy: You can purchase Glow Bug Cloth Diapers through their website. 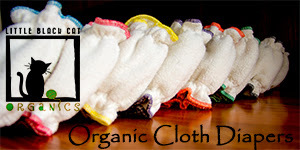 To Win: One winner will be chosen to receive 3 Glow Bug Cloth Diapers from their Earth Fest Package. This giveaway will begin July 7th and run through July 21st at 11:59pm. The winner will be chosen at random through Giveaway Tool. The winner E-mailed and given 48 hours to claim their prize. They will then be announced on the Giveaway Tool. The winner will receive the prize shipped to them from Glow Bug Cloth Diapers. Crunchy Livin Mama Style and any other participating blog is not responsible for prize shipment. Must be 18 years and older. Facebook, Twitter and Google are in no way affiliated with this giveaway. No Purchase Necessary. Void where prohibited by law. Open to US/Canada. I also noticed that the names of the diapers weren't on the website so that might make naming them difficult for some. I had to scroll back on facebook to find the name reveal. the recycling, clouds with rainbows, clouds with stars. seedlings, fox trot, and the solar system one. I love the Plaidisfaction, Space Cadet, and Fox Trot! I love the fox trot, the recycling and the slish splash prints. The two cloud prints and the pretty swirly bird one! I can't find the names. My favorite 3 prints from their Earth Fest package are the clouds and stars, the orange blue cream colored swirls with the birds, and the under the sea with the fish and turtles. Plaidisfaction and Space Cadet are my favorite but it is hard not to want something with a turtle on it as my LO's nickname is Turtle! my favorites are the fox, the space/planets and the green recycle patterns. I don't know names, but I like the tree print, the black and white with rainbows and the recycle print. I love the fox one, the clouds with rainbows, and the solar system one!